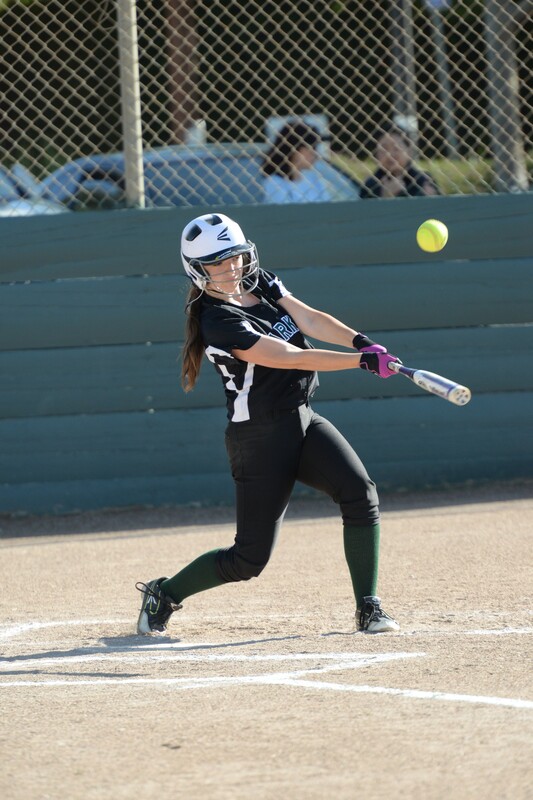 Last week, the softball team defeated Notre Dame San Jose 15-2 behind four hits, three runs and two RBIs from Kristin LeBlanc, grade 10. Marita Del Alto, grade 12, picked up the win, allowing just one earned run and four hits, while striking out four. However, later in the week the Eagles ran into an undefeated Lincoln team and fell 6-0. The softball team hosts Mercy Burlingame today at 4 p.m. at Blackford. Last week the Harker swim team traveled to Menlo High for its first WBAL meet, which also featured Mercy Burlingame and Pinewood. Vivian Wang, grade 10, won both the 200 free and 100 back; Michael Auld, grade 11, won the 200 free; Grace Guan, grade 12, finished first in the 200 IM; Alex Yu, grade 9, topped the 200 IM and 400 free; and Angela Huang, grade 12, was best in both the 50 and 100 free. Come support your Harker swimmers this Friday at 4 p.m. at the Singh Aquatic Center as they host another WBAL meet. Over the weekend, Niki Iyer, grade 11, competed at the Arcadia Invitational in Southern California, which featured some of the best runners from California and eight other states. Iyer continued her stellar season as she ran a personal best and the top CCS time of this season! The entire track and field team competes this Wednesday against their WBAL rivals at Bellarmine, and this Saturday at the Bearcat Invitational at San Mateo High. The boys volleyball team picked up two wins last week to improve to 5-8 on the season, and 3-0 in league. First, it defeated Wilcox in three games with Andrew Gu, grade 11, leading the way with 16 kills. Later in the week, the Eagles defeated Santa Clara in four games. The boys volleyball team will host Pacific Collegiate School on Wednesday at 5 p.m. at Blackford and travel to King’s Academy on Friday. The baseball team dropped its non-league matchup with Del Mar last week 9-2. Nate Kelly, grade 10, had two hits and an RBI in the loss. The Eagles travel to San Mateo High today and host San Mateo on Thursday. The girls lacrosse team lost a close match to Notre Dame San Jose 11-10 last week, but rebounded with a win over Newark 9-4. The Eagles host Carlmont today on Davis Field. Last week, the boys tennis team picked up victories over King’s Academy and Aptos. The Eagles have a busy week as they face off with Pinewood today, Priory on Thursday and Evergreen Valley on Friday. The boys golf team continues to play well as it notched three wins last week. In a 209-250 win over King’s Academy, Ryan Vaughan, grade 11, led the way shooting a 38; Scout McNealy, grade 9, shot a team-best 34 in the team’s 185-193 win over Menlo; and in the 186-214 victory over Pinewood, Victor Shin, grade 10, and Dakota McNealy, grade 12, each shot a team-best 35. The Eagles meet up with Palo Alto today. Dezi Johnsen, grade 6, competed at the NUWAY Nationals in Battle Creek, Mich., this past weekend. Facing some of the best wrestlers in the country, Johnsen placed seventh in the 126-pound weight class. Congrats, Dezi!